Lucas di Grassi is a smiler, always has been. Never have the smiles been broader than when he scaled another motorsport height - whether winning the Macau Formula 3 classic, claiming yet another GP2 win, being announced as a Formula 1 driver for Virgin Racing, winning in the World Endurance Championship or Formula E for Audi, or clinching the FE title this summer. That last accolade was a particularly sweet moment for the 33-year-old Brazilian, for he had previously driven in GP2 (pictured below) - and developed the Gen2 2008-10 GP2 car - for FE founder Alejandro Agag, who recognised his technical, analytical and tyre development skills, and went on to contract him as a test driver for the nascent FE project. Indeed, at the 2013 Frankfurt Motorshow di Grassi formed part of FE's launch team, joining Agag on stage at the Michelin stand to unveil the series' prototype and explaining the series' technicalities in simple terms. It was abundantly clear that di Grassi was blessed with an extraordinary grasp of vehicle dynamics, a talent he put to as good use in developing the FE Dallara as he did as a racer by maintaining momentum while conserving energy to win in the WEC (a hybrid formula), and FE (where striking a balance between deployment and recovery is crucial). But less well known is that over the years the Monaco resident built up a portfolio of business interests in tandem with his racing career, astutely applying racing nous in a commercial environment. An excellent public speaker - he received a standing ovation after addressing the 2016 FIA Sport Conference - he is as comfortable in suits as in fireproofs. Still, it was somewhat of a shock to learn that di Grassi would be announced as CEO of Roborace, the autonomous race series scheduled to formally launch as support bill to FE during the 2017/18 opener in Hong Kong in December. Di Grassi is in a rush when we speak afterwards - he is marginally late for a meeting with Qualcomm, an FE sponsor, but clearly there are synergies with Roborace, and so the meeting is important to the newly-minted CEO. Still, he patiently explains his vision for Roborace, and laughs off the ribbing I give him by suggesting that a professional driver leading an autonomous race car series is akin to a turkey voting for Christmas. Listening to di Grassi batting that one away proves fascinating. "I like that analogy!" he grins, teeth flashing. "I will listen a lot to this, including from my fellow drivers saying, 'You're promoting something that will put us drivers out of work', but I think it's the opposite. "When I see F1, when I see a driver with the quality of [Fernando] Alonso on the back of the grid, and not being able to do anything to fight even for a podium, it doesn't matter how well he does, or a race finish in his case, I see that there is something importantly flawed with the sport of motorsport." He is in full swing now, and there is no arguing with his logic: "It [F1] needs to be about who's the better driver, and not who has the best technology anymore. "That happens when the road car technology becomes very different from the technology that we are developing in motorsport. Ross Brawn said that the future of the [motor] industry is electric and autonomous, and nobody wants to see that in F1." 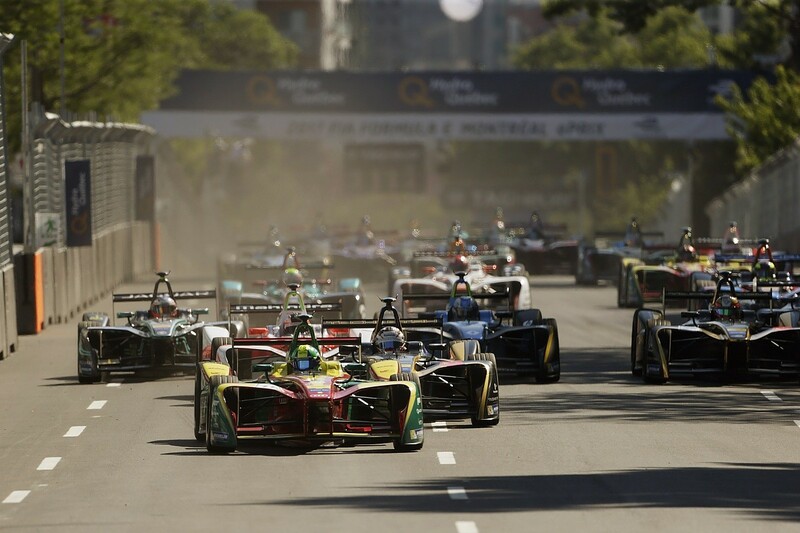 The gist of what di Grassi is saying is that race series such as FE and Roborace should provide road relevant motor racing platforms for carmakers to hang their hats onto, thereby freeing F1 to be a sporting contest in the purest sense possible. Again, no argument. "Motorsport and road relevant technologies, as the years progress, they will split more and more. One way of promoting road relevant technology, which will be as a consensus of the industry, autonomous and electric, is [by] providing a series in parallel with motorsport, not to replace motorsport. "So actually by promoting and doing Roborace properly you can shift technology faster to Roborace and then the sport of motorsport can be actually more about the driver, which I think is missing at the moment." When does di Grassi believe the split - previously suggested by VW Group motorsport director Wolfgang Durheimer - will happen? "I think the automotive industry is changing very fast. The technology is evolving extremely fast. Four years ago Formula E was just an idea. "People were, 'No, maybe not, who's going to [follow] that? Maybe the manufacturers, [but] who else is going to talk about electric cars?' Today we have nine signed manufacturers, big OEMs, in Formula E," he says with discernible pride. "So I think Roborace [will follow] a similar path. What we are presenting here, the vision of Dennis [Sverdlov, Roborace founder and owner of the Kinetik investment fund] is way, way into the future." Sverdlov's vision was a broad one: to establish an autonomous series. But di Grassi's brief is more specific, namely to make it work. How does he intend doing just that given widespread scepticism even before two definitive robotic cars - let alone a full grid - have actually run against each other? In other words, what is di Grassi's vision for Roborace? "There are ways to make this transition happen, not with race formats. It will be more of events and challenges," he explains. "So Roborace has to do what [other] motorsport can't do, in my opinion. "For example, instead of having 20 cars racing each other, qualifying and race, I want to introduce maybe augmented reality traffic on the racetrack. "So the Robocar has to go through [AR] traffic and at the same time do the fastest lap possible." Then the clincher: "This is relevant for the road, in an enclosed environment. This [is something] motorsport cannot do. And that's where we have to point Roborace, and not to try to replace motorsport with a traditional format." So is Lucas suggesting AR 'chicanes', consisting of traffic such as trucks and busses and pedestrians? "Yes, for example, [AR items] that only software can see, or people actually with their mobiles or in the content. Acting as real-world traffic. "Also, for example, another idea is to create challenges that are too extreme or too dangerous to have in motorsport. For example, in the traffic light of the future there will be high-speed crossings. Cars will be car-to-car communication, so why not do a fast figure-of-eight circuit at high speed? "That way we can showcase to the crowd that the systems can work. But, going back to your question, when do I think it will happen? I think it will progressively happen in the next five years." He alludes to what he sees as WEC's "slow death", and believes the series will be replaced by LMP2 and DPI technology, with the GT division picking up - as indicated by the launch of BMW's M8 GTE at the show. "It's an amazing series, WEC GT, an amazing series. This type of motorsport represents the final product. Formula E will grow, F1 will exist, but the tendency of having this [reduction in road-relevant technology], Ross Brawn is already pushing for it. "The FIA for example doesn't want to allow torque vectoring in Formula E; we will allow fully torque vectoring in Roborace. So stuff that is driver aids, that has to be developed for the general public, but not for racing, we will also implement that in Roborace." After setting the scene, di Grassi reveals his Roborace vision, and it soon becomes clear that the previous concept of a number of robots competing on-track at speed in an autonomous replica of motorsport's traditional race format is not where he is taking it. "Instead of what was previously announced, that we have 20 cars racing each other, same format, I think [the future will consist] more of challenges. We want to go to Goodwood, break the record uphill [with a robot], we want to probably do the first ever autonomous lap at Le Mans. "I see in the future, for example, we're talking about fully driverless, but I think one big step will be [a] combination, the driver with artificial intelligence. That also will have a huge impact in sportscars. I think sportscars need to be pure. I love manual cars. Imagine an intelligent system with these crazy supercars that are launched." So part of his vision is to develop Roborace to a level where driver aids effectively become virtual driver coaches? "Exactly. A full driver coach." Given the change in direction and that the December 2-3 debut event is but three months hence, is Roborace on target? "Yeah," he says confidently, "we are on target for what we need to achieve. Roborace is not the Robocar, it's a series for others, for companies. "So at the moment we don't have any partner that has enough technology to showcase something that is extraordinary, like a very quick lap time. We are preparing the base for technology companies, sensors and OEMs." What, then, does di Grassi hope to showcase in Hong Kong? "Some public laps, with two cars. So far we showed only one Robocar." How long will the race be? Five laps? "We haven't come up with a full format yet, but probably it won't be a race, it will be a challenge. Probably acceleration or obstacle avoidance or precision." So not lap after lap? "Again, we don't think the concept of fast lap times is a priority for Robocar at the moment." Does that not make the name a bit of a misnomer? Having Roborace without a race? "Yeah, but we have a competition, let's put it this way. Roborace in the sense of competition." Di Grassi becomes visibly agitated, but not at the line of questioning, which he bats away like a seasoned test cricketer. Qualcomm is calling, and he needs to rush off. I get in a final question: deep down, does he feel qualified to not only run Roborace, but effectively set it up from scratch, but in mid-stream? "I had five or six companies in my life in parallel to racing; I know how to run [companies], but Roborace is definitely a huge challenge for me, so I need a good team of people around me. "So I have Brin [Balcombe, former FOM systems engineer, as Roborace's chief technical officer], we are hiring vehicle dynamics [engineers], we are training how to operate a team more as a race team, we're doing more track days, more test days. "We are hiring new staff as we keep evolving. We're up to about 50 now. "We are building the third Robocar now, so we're increasing the workforce, streamlining the process for actually what we need. At the same time we're gaining momentum with partners. "So interest from manufacturers, everybody involved in [artificial intelligence] like Bosch, like LG, like Nissan, Audi, Continental, Schaeffler, Michelin... but Michelin more on the tyre development side." With that di Grassi, motorsport's newest CEO, is off to woo yet another partner. 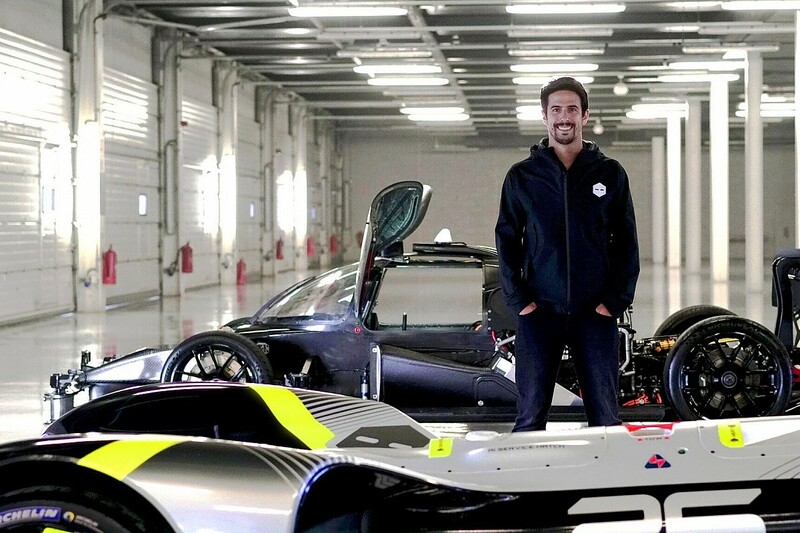 If his life was hectic just as a driver, consider that di Grassi fully intends swapping suits and overalls during race weekends: he still has, after all, an FE title to defend between Roborace competitions, and so clearly grasps the difference between 'auto sport' and 'auto race'.